Kids love Super Heroes! 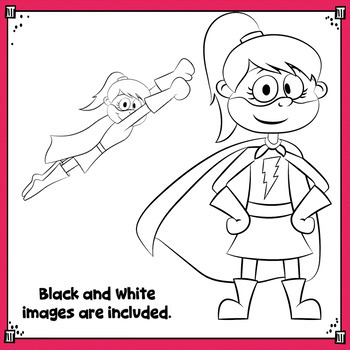 This cute Super Hero is presented in both a standing and a flying pose. Black and white images are also included. 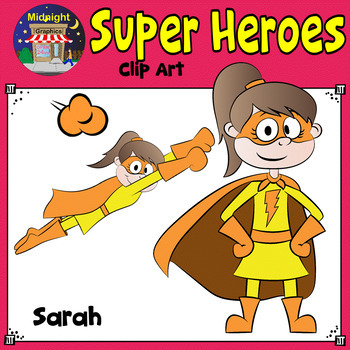 You may choose from several super heroes, or you can grab the bundle! All images are saved in 300 dpi png files for clear, crisp images. This products, together with all the products in my store are available in my Lifetime Access database available for an extremely low price! Click the link below to check it out. Lifetime Access Bundle, where you will have immediate, full lifetime access to all the clip art in my TpT store. You may use these images for personal or small commercial use. Simply give credit back to Midnight Graphics on TpT and create a link back to my store. All designs and images are the creative property of Midnight Graphics and may not be redistributed unless incorporated into a new design and safely secured.